Ready to start your Mom blog or enhance your existing one? This book is for you! The population of mom bloggers is growing at a stunning pace and they boast an audience of more than 23 million women reading, posting, or commenting on blogs every week. This fun and friendly guide targets moms who are looking to become a savvier blogger, build a personal brand, earn free products to review or give away, or make some extra cash through ad revenue. Named by Nielsen as one of the most influential moms online, author Wendy Piersall helps you determine the right business model for your blog and then create a professional, in-demand personal brand. This beginner guide presents baby steps for breaking into the often-daunting mom blogging community, with practical advice on how to join and become an accepted member of this exciting world.Ready to start your Mom blog or enhance your existing one? This book is for you! This beginner guide presents baby steps for breaking into the often-daunting mom blogging community, with practical advice on how to join and become an accepted member of this exciting world. We hope you find the information useful and look forward to seeing you again soon in another “Busy Moms” creation. Mom Blogging For Dummies author Wendy Piersall discusses how to start Mom Blogging and gives tips on what to consider. Blogging is quickly becoming the new favorite for small business marketers. Mainly because of the amazing results they received when they blog regularly. And publicity isn’t the only benefit to blogging. There are many ways that blogging can add merit to your business. In fact, The Wall Street Journal recently featured The CWAHM blog in an article on how blogging can help small businesses create a buzz for their products and services. The results from this were amazing and prove that blogging truly works: http://online.wsj.com/article/SB120526706660828097.html?mod=ITPWSJ_20. Here are the top ten ways to use blogs to increase your business revenue. 1. Ad revenue – Offering paid advertising on your blog is one of the easiest ways to see tangible evidence of the benefits of blogging. 2. Link swaps – Swapping links with other like-minded bloggers increases your standing with search engines. One of the biggest blogs available, problogger.net, recently completed a survey in an attempt to find where bloggers get the most traffic? The overwhelming response? Google at 46%. This shows us how important search engine ranking are. Link swaps are just one way to improve yours. 3. Reviews – Another growing trend online is that of the customer review. People appreciate reading the thoughts of others before they purchase a product. It doesn’t seem to matter how big or small the product, either. Posting reviews of books you’ve read, CDs you love, etc, is a great way to generate traffic for your blog. 4. Free offers – Who doesn’t love a freebie? There are many ways of using freebies to your advantage.You can offer a free ebook when someone signs up for your newsletter is an easy way to build your subscriber base. Many blogs also offer contests for those who post comments or interact in other ways on the blog. 5. Blog tours – Being a part in a blog tour is like being the next stop along the railroad. If set up correctly, the tour will send participants from one blog to the next to read more about whatever topic the tour is covering. I’ve participated in many blog tours for book releases. It’s a lot of fun and a great way to bring new readers to your blog. 6. Networking – It goes without saying that building relationships with people is one of the oldest ways of gaining long-time, loyal customers (or in this case, readers). Taking part in the comments discussion on blogs and forums is a great way to do this. The key, though, is to be authentic. Don’t simply blast places with the link to your blog; take part in the discussion and provide useful information – not just your URL. 7. Directories – Listing your blog in blog directories is probably not the best way to generate traffic, but it can be useful in certain ways. It’s a great way to connect with other like-minded bloggers and possibly generate some link exchanges, etc. 8. Press/Media – Getting media attention can be challenging. One great way to bring your blog to the attention of the media is to send out Press Releases when something newsworthy happens on your site. For instance, when I offered a free e-book on my site for Mother’s Day I put together a press release to announce it to the world. 9. Consistency – Posting on a regular basis is key. Try to find a schedule that works for you and stick to it. Even if you can’t blog every day, work to get posts out there two to three times a week. Most blogging software, including WordPress and Blogger, allow you to set the date and time our post will be published. Utilize tools like this to keep your blog consistently updated with fresh, new content. 10. Updates – Finding ways to keep your readers informed is a sure-fire way to keep them coming back to your blog. There are a quite a few ways of accomplishing this, such as offering a newsletter, setting up a Feedburner.com account, and making your RSS feeds easy to find and subscribe to. Want to take your business to the next level or even six-figure status? It can be as easy as learning the ins and outs of blogging. Once you start seeing the results, you’ll be a believer just like us. Jill Hart is the founder of Christian Work at Home Moms, CWAHM.com. Jill is a contributing author in Laundry Tales, The Business Mom Guide Book, I’ll Be Home For Christmas and Faith Deployed: Daily Encouragement For Military Wives. Jill has articles published across the web on sites like DrLaura.com and ClubMom.com. Jill and her husband, Allen of CWAHD.com reside in Nebraska with their two children. Jill is also the co-host of MomCast LIVE, http://blogtalkradio.com/momcast. Here are some reasons why you should use blogging as an Internet marketing tool. Blogging is a concept that started in late 90s. It used to be a way to comment an existing webpage, a chance for visitors and readers to react or voice out one’s opinion on the said page. What started as a single-sentence commentary has evolved into pages of personal take on just about anything and everything under the sun. As it continues to move forward, online advertising has tapped into the blog’s potential. 1. Blogging is simple. The simplest way to get your piece on the net is through blogging. No skills are necessary… an average adult can read and type, or at least click a mouse. It’s like having a virtual piece of paper and you just write your ideas, experiences, new products, and hope that the truth behind your articles comes out and entice your reader to also try your product. If you have a PC and an Internet connection (who doesn’t?) then you can blog and advertise. 2. Blogging is realistic. In this day and age where advertising inundate our lives, we question the credibility of promoters’ claims. However, in blogs, real people share their real-life experiences, unscathed by paid advertising. Reading blogs about first-hand product use is like talking to people about their first-hand experience. You absolutely want to buy a tried and tested product. 3. Blogging is free. Because blogging is yet to be proven as a mainstream online advertising media, most sites see it as something to augment current marketing tools and thus offer it for free. Any chance for free webtime is definitely a bonus especially to businesses that are starting up. Useless to say, paid blog pages can earn more income for your growing business. 4. Blogging builds reliability. As you get more and more into writing your experiences on a particular product or industry, your readers come to realize that they can depend on your posts for their own information needs. As such, you become an expert on it; as a consequence, more readers visit your site and more bloggers link to your blogs. As companies and professional organizations notice the growth of your readership base, they may soon get in touch with you for advertising on your blog page, or make you an affiliate, which pays for every referral generated from your blog site. -By joining a blog network –A network of blogs maybe a collection of blog sites that share the same industry, interest, readership base, payment mode, etc. Consumers find credibility and handiness in clicking one link to several real bloggers about a single subject. Clearly, more bloggers are better than one. Blogging is a concept that started in late 90s. It used to be a way to comment an existing webpage, and chance for visitors and readers to react or voice out one’s opinion on the said page. What started as a single-sentence commentary has evolved into pages of personal take on just about anything and everything under the sun. As it continues to move forward, online advertising has tapped into the blog’s potential. Here are some reasons why you should use blogging as an Internet marketing tool. 2. Blogging is realistic. In this day and age where advertising inundate our lives, we question the credibility of promoters’ claims. You can also login on to www.blogers-guide-to-profit.com. However, in blogs, real people share their real-life experiences, unscathed by paid advertising. Reading blogs about first-hand product use is like talking to people about their first-hand experience. You absolutely want to buy a tried and tested product. It used to be a way to comment an existing webpage, and chance for visitors and readers to react or voice out one’s opinion on the said page. What started as a single-sentence commentary has evolved into pages of personal take on just about anything and everything under the sun. As it continues to move forward, online advertising has tapped into the blog’s potential. Here are some reasons why you should use blogging as an Internet marketing tool. 2. Blogging is realistic. In this day and age where advertising inundate our lives, we question the credibility of promoters’ claims. For more results visit us at www.building-blog-empire.com. However, in blogs, real people share their real-life experiences, unscathed by paid advertising. Reading blogs about first-hand product use is like talking to people about their first-hand experience. You absolutely want to buy a tried and tested product. -By joining a blog network –A network of blogs maybe a collection of blog sites that share the same industry, interest, readership base, payment mode, etc. You can also go to www.profit-pulling-toolbars.com. Consumers find credibility and handiness in clicking one link to several real bloggers about a single subject. Clearly, more bloggers are better than one. Blogging is a concept that started in late 90s. It used to be a way to comment an existing webpage, a chance for visitors and readers to react or voice out one’s opinion on the said page. for more detail go to:www.greatblogbox.com.What started as a single-sentence commentary has evolved into pages of personal take on just about anything and everything under the sun. As it continues to move forward, online advertising has tapped into the bog’s potential. Blogging is simple. The simplest way to get your piece on the net is through blogging. No skills are necessary… an average adult can read and type, or at least click a mouse. It’s like having a virtual piece of paper and you just write your ideas, experiences, new products, and hope that the truth behind your articles comes out and entice your reader to also try your product. If you have a PC and an Internet connection (who doesn’t?) then you can blog and advertise. Blogging is realistic. In this day and age where advertising inundate our lives, we question the credibility of promoters’ claims. However, in Blogs, real people share their real-life experiences, unscathed by paid advertising. Reading Blogs about first-hand product use is like talking to people about their first-hand experience. You absolutely want to buy a tried and tested product. Blogging is free. Because blogging is yet to be proven as a mainstream online advertising media, most sites see it as something to augment current marketing tools and thus offer it for free. Any chance for free web time is definitely a bonus especially to businesses that are starting up. Useless to say, paid blog pages can earn more income for your growing business. Blogging builds reliability. As you get more and more into writing your experiences on a particular product or industry, your readers come to realize that they can depend on your posts for their own information needs. For more help visit to: www.blogers-guide-to-profit.com.As such, you become an expert on it; as a consequence, more readers visit your site and more bloggers link to your Blogs. As companies and professional organizations notice the growth of your readership base, they may soon get in touch with you for advertising on your blog page, or make you an affiliate, which pays for every referral generated from your blog site. -By using subscription. An easy way to get your readers e-mail is to give them an opportunity to subscribe to your bogie. Keep some exclusive information for your subscribers to entice readers to subscribe and give their e-mail address. Just be responsible in using their e-mail address, as the last thing you want is a comment on your blog that you are a spammer. The simplest way to get your information, your products, and your services on the Internet is through blogging. No special skills are required… an average adult can read and type, or at least click a mouse. 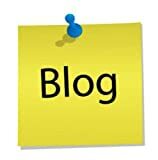 Think of a blog as a virtual tablet of paper and you simply write your ideas, experiences, new products, and service descriptions down and if well written, the truth behind your articles will entice your readers, or blog visitors, to want to know more about you and what you have to offer. So basically, if you have a computer and an Internet connection (who doesn’t?) then you can blog and advertise. In this day and age where advertising saturates our lives, we question the credibility of most advertising claims. However, in the , your blog content will represent a Blogging and Internet Marketingmore personal aspect of who you are and what you have to offer, establishing your credibility up-front. Reading blogs about first-hand product use is like talking to people about their first-hand experience. Consumers definitely want to buy a tried and tested product. Your potential customers will “get to know you” first, then naturally want to buy from you once you earn their trust. -E-mail – Today, is rapidly surpassing the popularity and effectiveness of email to quickly and effectively reach your target market. In this age of speed and quick access, logging in and downloading email is simply taking longer than clicking into a blog. Long gone are the days where we email pages and pages of information. You can now, simply shoot a very short email with a link to your blog where they can find the information in its’ entirety. Also be sure to include a signature in every email you send, to anyone, with a link to your blog. Blogging and Internet Marketing-Subscriptions – An easy way to build your blogging audience, which in turn increases your market share, is to offer readers a . As a subscriber, they can receive email notifications when you update your blog, or when you have “special” offerings for subscribers only. It is very important though, to be responsible with your subscribers email addresses. The last thing you want is a comment on your blog that you are a spammer. -Understand your readers – It’s important to be knowledgeable and constantly monitor your readers needs and wants. A simple survey, every few months will aid you in keeping your finger on the pulse of what your readers will benefit from the most. Additionally, you’ll be able to gather profile information and advertising preferences. By asking your readers to give you feedback on a post, an ad link, or a trial that you shared, it’s like interviewing your readers without the commitment and intrusion of a face-to-face interview. Your readers will also appreciate the fact that you care, and you are willing to listen to them, especially when you implement things on your blog specific to their feedback. -Join a blog network Be active and productively participate in a that share the same industry, interest, readership base, payment mode, etc. Consumers find credibility and convenience in clicking one link to several real bloggers about a single subject. The links back from these relative blogs will improve your search engine optimization and at the same time, help build even stronger credibility for you with your blogging audience. -Use RSS Feeds – RSS feeds are the fastest growing technology on the Internet today. As such, having to your blog is definitely another means of generating awareness for your readership base. Having a variety of feeds can add interest to your blog site and offer your readers the ability to zero in on the exact information that is of most interest to them. Put your blog readers needs first, build a strong, credible base and become the authority in your niche and the profits will naturally follow. Easy Blogs R Us is passionate about helping other bloggers and provides blogging and social networking resources for niche, affiliate and Web2.0 marketing.